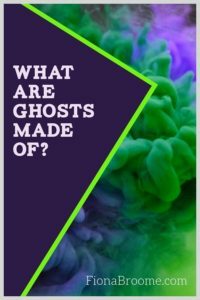 Review – What Are Ghosts Made Of? While no one can answer that with complete confidence, the Higgypop article covered some interesting theories. I agree with most, but not all of them. …if people are able to sense the presence of a ghost, detect them with ghost hunting gadgets, or even see an apparition, then there must be something measurable and tangible that creates them. My reaction…? Yes, and no. If we assume that spirit (God, the Universe, Deity) creates matter, I’m not sure we need to (or even can) assume that God has a physical body that we can measure. And, if people are created in the likeness of their creator, I’m not sure each has to retain some physical form after death, in order to create energy in this reality/world/realm. The phenomenon is known as “stone tape theory” due to the belief that energy is captured and stored like a video recording in the surrounding bricks, woodwork, stone and possibly even the soil. When the conditions are right, these materials release this energy and you sense or see the event occur in exactly the same position as it did years ago. When it comes to intelligent hauntings it’s a little different. These types of hauntings are the classic “ghost”, they can reportedly move objects, push or touch people, slam doors and even throw objects across a room. So clearly when they manifest there is some kind of physical force behind them. But then the article says something that – to me – seems like it goes a little too far out on a limb. Many paranormal researchers believe that when someone dies, they continue to live on outside of their body as a form of electromagnetic energy, similar to the electrical impulses in the human brain. It’s thought that it is this EM energy that is responsible for ghosts. This is why ghost hunters often use electromagnetic field meters to detect the presence of ghosts. But personally, I’m not willing to conclude that. Not at this point in our research. I think they may (or may not) be in an environment where EMF exists and functions different to how it does in our reality. While some ghost sightings can be written off as hoaxes, the majority of ghost sightings come from people who genuinely believe they have seen something supernatural. So whether ghosts are electromagnetic energy, a reflection of the past, or a trick of the mind, you can’t take the experience away from someone who has witnessed a ghost. I’m interested in your opinions and insights, if you’d like to leave a comment at this article. Hallowfields Ghost Hunting Academy is my newest website. I’ve been working on this project since mid-2017. The concept is simple: It’s an educational site for paranormal researchers, with entirely free courses. Initially, I’d planned a generic name: Ghost Hunting Academy. One of my publishers secured that URL for me, and we set up a basic website. Then I realized the name was too generic. It could be forgotten easily, or confused with similar names like “ghost hunting school,” and so on. After a few weeks’ thought, the name Hallowfields sounded good to me. It’s a little of Halloween, mixed with fields of paranormal study. Well… it looks like I was a little too optimistic about the work involved. But, I launched the site today, anyway. The text for the first course, the 2017 edition of Introduction to Ghost Hunting, is complete and at the Hallowfields site. The course has many new, free downloads – mostly worksheets – as well. So, students can start the course immediately, and complete it. They’ll even receive a printable certificate/diploma at the conclusion. But, that course doesn’t have all the bells & whistles I’ve envisioned. In fact, I’m currently working on videos to supplement it. Those videos will probably start arriving at the website next week. A software glitch delayed today’s video recording. But, I finally found the problem. Now, the first video – a very short one – is in the first lesson of the course. It’s a start. I’m feeling victorious. I’ll add more free worksheets in the next couple of weeks, too. At the start of 2018, I’ll be juggling books – mostly updates/revisions of my older books – and adding more articles and videos at HollowHill.com. 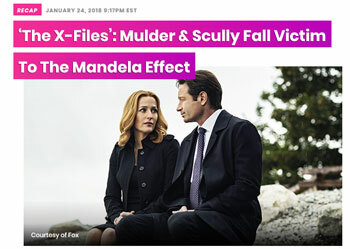 I’ll create more courses for Hallowfields, and… I’m still not sure what I’m doing with the Mandela Effect site. Mostly, I’m excited about the coming year, as I look ahead to 2018. I have the feeling it’s going to be a fun year. I hope you’re enjoying a wonderful holiday season. Merry Christmas, Happy Yule, and a joyous… well, whichever holiday/s (if any) you celebrate at this time of year. For Halloween, I hope to update all of my freebies. They include reports, checklists, and worksheets for ghost hunters. I’ve also updated some of my fun handouts from past Dragon Con presentations. Most of them are ready now, and the files are at Google Drive. Anyone can download these freebies, so it’s okay to share those links with friends. The list of 2017 freebies (with links) is at this site, on my Free Downloads page.